Ramsey Recommends: Movie Reviews: "Saving Mr. Banks" and "August: Osage County"
Movie Reviews: "Saving Mr. Banks" and "August: Osage County"
Saving Mr. Banks is based on the true story of Walt Disney (portrayed by Tom Hanks) and his team working with P.L. Travers, author of Mary Poppins, to adapt the novel into a screenplay. Though desperate for cash, the sharp-tongued, persnickety Mrs. Travers (as she prefers to be called) is reluctant to allow her beloved characters become part of a frivolous movie. Using patience, understanding and determination, the Disney team is finally able to write lyrics, music and a screenplay loved by all. 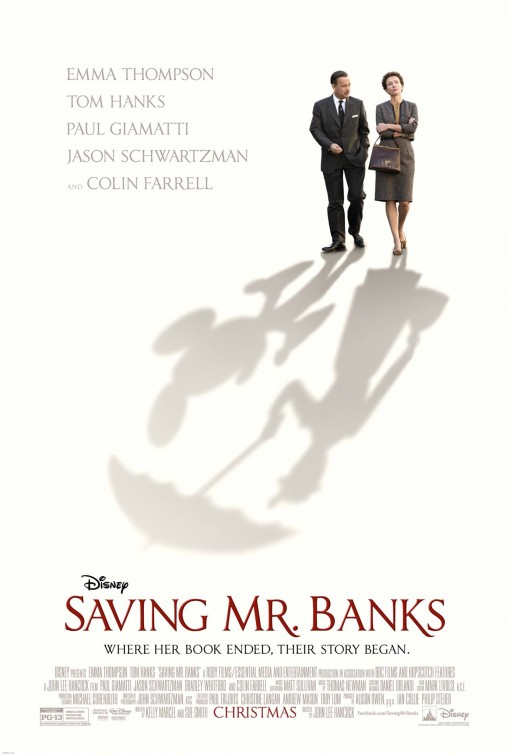 I loved Saving Mr. Banks! Mrs. Travers’s story is told through her dealings with the Disney team and through a series of flashbacks to her childhood. Emma Thompson is brilliant as Pamela Travers and manages to elicit sympathy from the viewer despite how unlikable Mrs. Travers is. Charismatic Colin Firth plays Pamela’s flawed father, while Tom Hanks portrays Walt Disney as a loving, thoughtful man. Saving Mr. Banks was one of my favorite movies of the year! August: Osage County is the story of three daughters returning to their dysfunctional childhood home during a family crisis. What makes this film interesting is the unfolding of family secrets and resentments; and all these characters have them. Meryl Streep plays the emotionally-abusive, drug-addicted matriarch while Julia Roberts portrays her strong-willed, eldest daughter. The big-name supporting cast add intrigue and comic relief. At times, August: Osage County was painful to watch because I don’t like seeing people being mean and hurtful to one another. However, its dark humor provided needed comic relief, and Streep and Roberts gave award-winning performances. 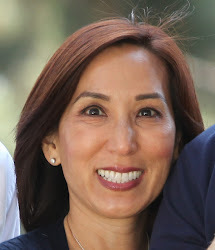 From a psychological perspective, it was fascinating (like having to stare at an auto accident) to see dysfunction passed down from generation to generation. 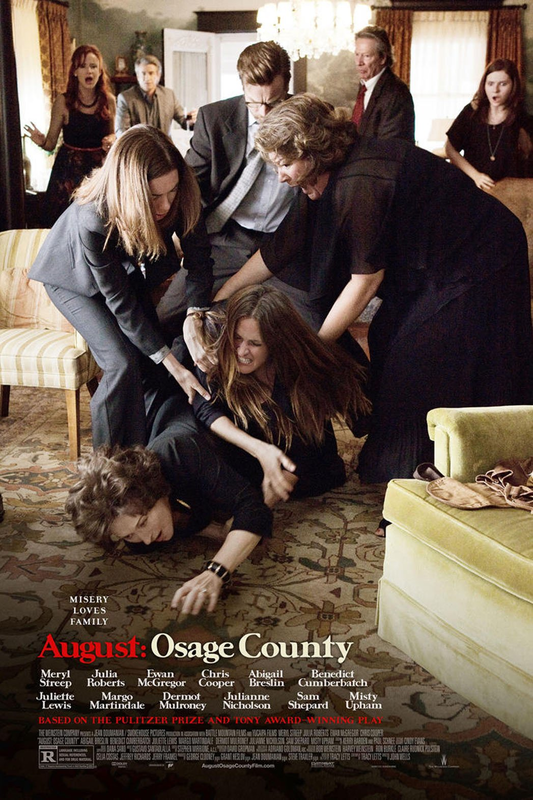 Despite its heavy material, August: Osage County is worth seeing!